Fresh gourmet catering, cooked on site. At Toast catering, we want your guests to be raving about the food, even those who are notoriously hard to please. That's why we always cook on site, so your dishes are served fresh and perfectly prepared. Not many San Diego Catering companies do that! From small intimate private parties to luxurious weddings, and big corporate events, let's talk about your catering needs for your next event in San Diego. 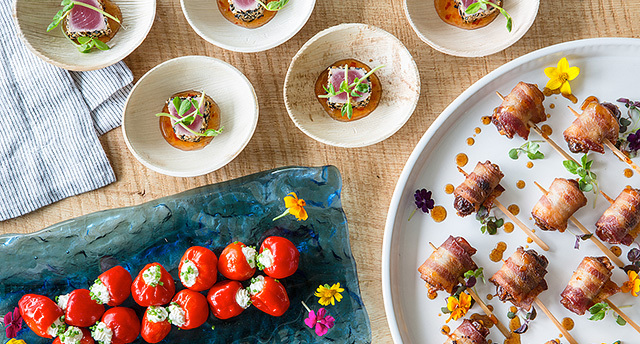 Why should you hire TOAST for your next catering event in San Diego? We understand the value of high quality food at a reasonable price. We also believe that best catering experiences are created when food is cooked on site. Most caterers within our price range pre-cook their food. We treat our employees well, which helps us maintain a skilled and hard-working team. Our professional and friendly staff will make your experience even more memorable. Cooking is not just a job. It's our passion. We are proud to serve you bold and flavorful meals. We have over 10 years of experience. You'll be in good hands and can focus on planning the rest of your special event. Whether it’s a cocktail reception, bar mitzvah or bat mitzvah, lunch and breakfast delivery/drop-off, graduation party, staff Christmas or holiday party, wedding reception or a social gathering, be prepared for great food and excellent service. Toast also offers themed or ethnic food stations. Our goal is to simply be one of the best catering companies in San Diego. "I had multiple guests comment on the quality of the food." 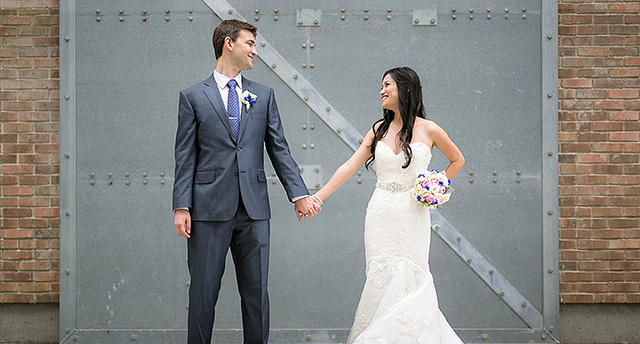 "Toast Catering was the perfect choice for our wedding. We couldn't have been happier with the service they provided."